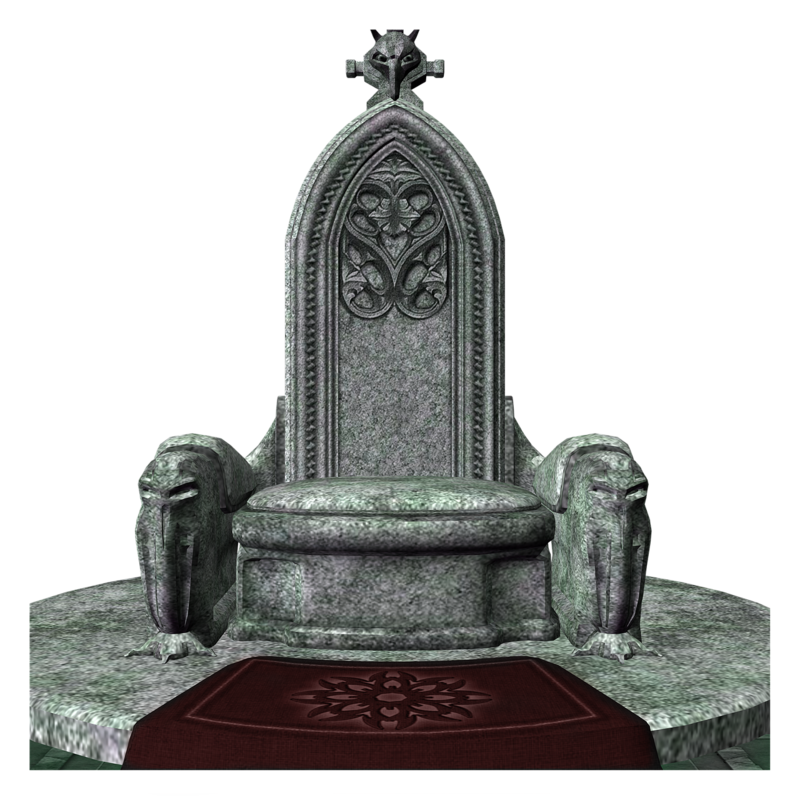 Fantasy stories, like science fiction ones, have lots of cool things. The ability to take something ordinary and turn it into something fantastic is one of the skills of a great author. Sometimes ordinary things with extraordinary characteristics are even cooler than totally new things. What do you think? 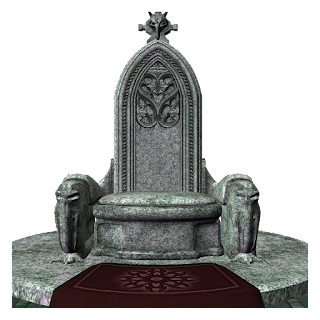 A silver chair that binds and curses princes, a throne signifying authority and the hero's ascension to his destiny, a chair next to a wall that spins to reveal a hidden passage. Chairs are very useful. I couldn't think of a particular fantasy story with a cool chest (though I'm sure they're there), but I've always associated chests with mystery. 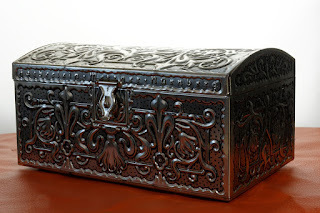 A place to find old, folded clothes (magical or just connecting the heroine to her lookalike great-great grandmother and, ultimately, her destiny or a lost fortune), dusty books with dangerous secrets, maps to strange places, treasure, as well as moth balls. These also might be considered the forerunners to Mary Poppins's carpet bag and Newt Scamander's infamous suitcase. Who knows what might be in a wardrobe? Another world, perhaps? The Search. C.S. 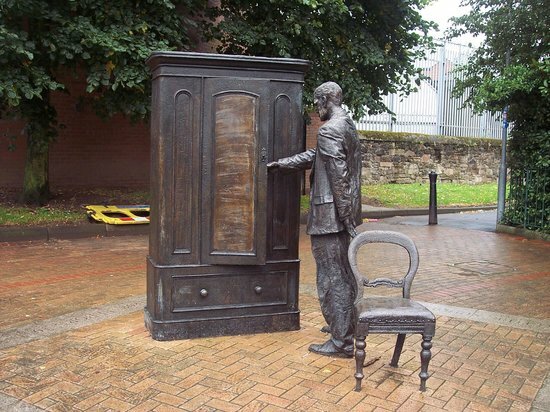 Lewis sculpture in Belfast, Ireland. 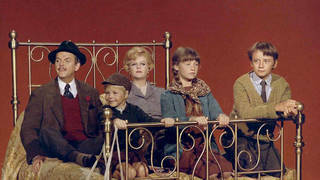 There are also old fashioned beds with knobs (as in Disney's Bedknobs and Broomsticks) and chimneys useful for entries and exits (as used by Santa, the Grinch, and Harry Potter and the Weaslys).